Andrew and Colleen’s cottage, our home for the next 4+ months, had been virtually abandoned for about 4 years before they purchased it. Improvements began when Andrew and Colleen spent some weeks there late last Fall and continued this Spring with Jonathan and his family making some trips out and working on things. Andrew was here for nearly a week with us and worked hard nearly the whole time on a number of projects in and around the cottage. 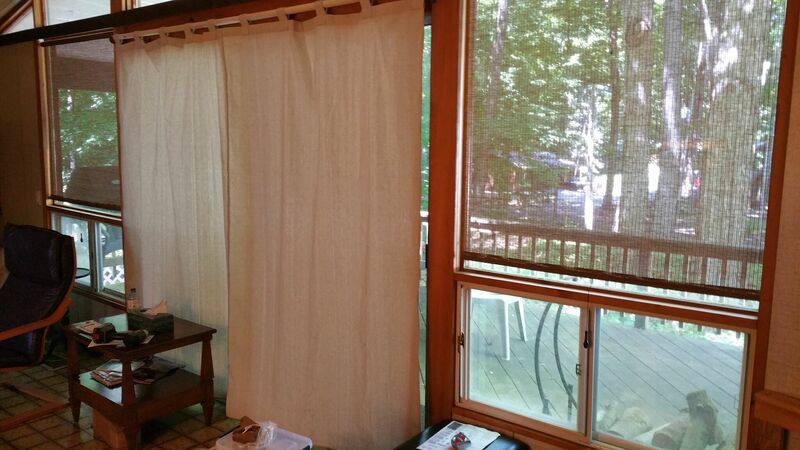 Colleen had sent along some blinds and curtains she had made for the big front windows that overlook the forest and lake and Andrew and Ted installed them. 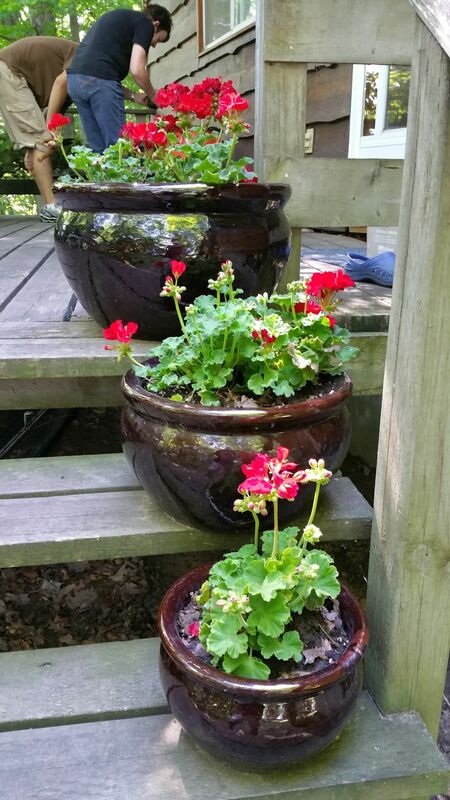 Sheila always thought that the dark brown siding and dark green trim of the cottage called for some geraniums to add a bright touch. So Ted and I got some geraniums at a local greenhouse and planted them as a welcome for her. 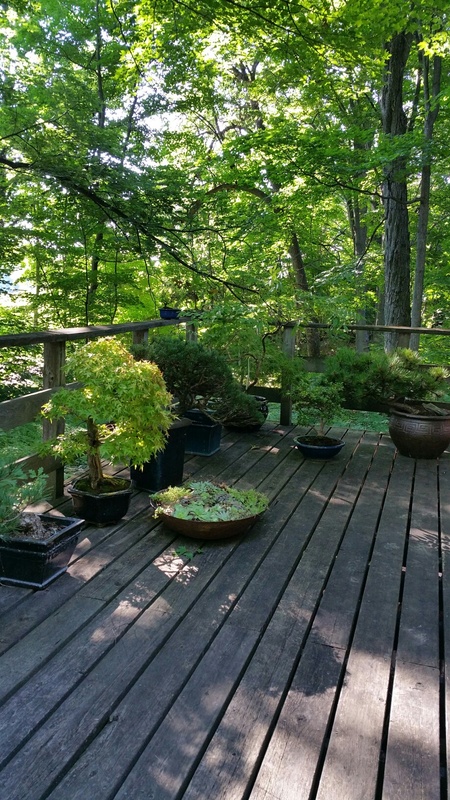 And, of course, our bonsai, which had largely survived the trip, look good on the deck. Thanks, Jim. We’ll try to keep blogging but still have no Internet connection of our own so try to get a few minutes in a place with WiFi when we make to town. I love the new place!! Love it love it love it!! Abit….jealous! !